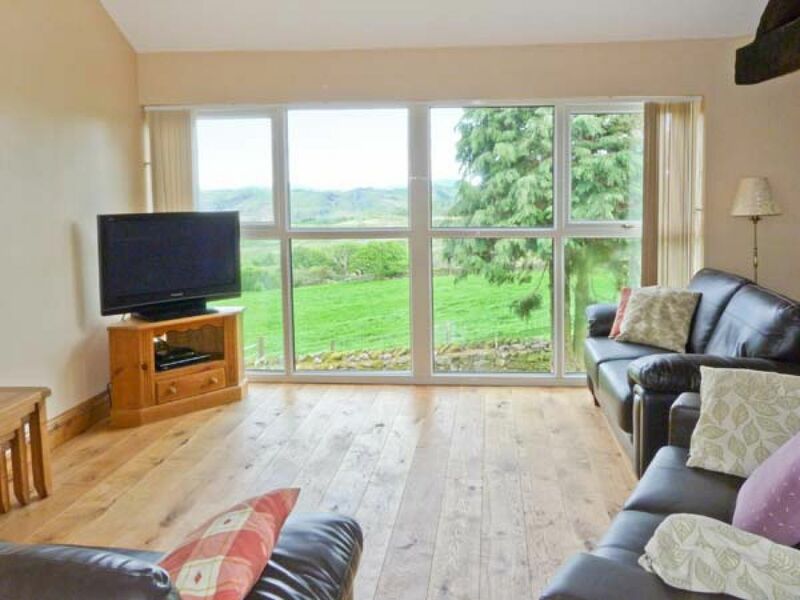 The holiday cottage of "Valley View" can be found in Duddon Valley near Broughton-in-Furness in Cumbria. Valley View can sleep 8 people with 4 bedrooms to sleep your holiday party. Valley View has a bedroom makeup of: All ground floor. Four bedrooms: 2 x double (one with en-suite shower, basin and WC), 2 x twin ( one zip/link, can be super king-size double on request). Bathroom with bath, separate shower, basin and WC. Basin and WC. Kitchen. Sitting room with dining area and pool table. Conservatory. Valley View is a good size for a family holiday. These are the reviews for Valley View. There are 16 reviews. 8 of us have enjoyed a fabulous and relaxing New Year break in this cottage. The property had everything we needed, was spotlessly clean and offered spectacular views. Enjoyed it so much we're looking to book again. The photos do not do this house justice. It's spacious, clean, comfortable, warm and has everything you need plus stunning views. There were also some welcome gifts awaiting us which were greatly appreciated. We all had a wonderful stay and would happily book again. Thanks Mrs Turner. The beds were comfortable! The views were incredible! We stay at many places in the Lakes, and this was one of our favorites. The house has unobstructed views that are unparalleled. It sits on the edge of a working farm, off a winding road about ten minutes away from Broughton-on-Furness. The town is great-- excellent pubs, a butcher with a small market and a bakery-- so the house is well situated. It's close to the coast and great walks. The house has comfy couches and even a pool table. All around, an excellent find! The cottage was clean, well-equipped and has a fantastic view of the valley. Internet was a bit slow but was good enough to read/write emails. We highly recommend this cottage to anyone who wants to enjoy less-touristy but nicer parts of the lake district. We really felt like we were getting away from it all, but in the luxury of a nice house. The only downside was - hot water could be temperamental, which is shame because it has the most amazing bath which I couldn't use because it ran cold. Could also benefit from a hairdryer. Can't fault anything else! We'd definitely stay again. The views however are absolutely stunning! You need to be organised with provisions as there are no grocery shops nearby. The small town of Broughton in Furness has limited shops and these do not open on Sundays. There are pubs one of which serves good food. We really enjoyed our stay. The cottage is really spacious and comfortable. We thought a fire would be nice focal point. The owner made us a lovely cake which was delicious! The views were incredible (the pics showed this and we weren't disappointed), but the accommodation is also fantastic. Great welcome from the host and as it's a working farm the kids loved seeing the animals and the farmers in action out the windows. We'd definitely recommend this - a real find! Scenery beautiful, easy reach of other areas of the Lake District. We were lucky to be there in Spring to have the added entertainment of the lambs in a field by the house, with a large window looking out over them and a good view of a ruin in a distant field and the backdrop of mountains. 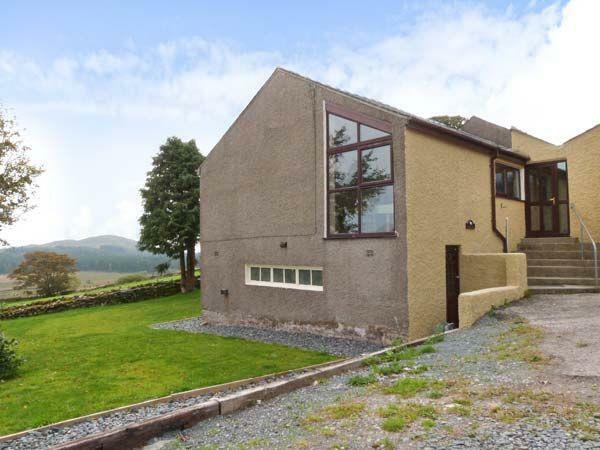 This property is in a magnificent position occupying a high position in the Duddon valley, The views are breathtaking as is the drive up! The property is on a working farm so there is always plenty going on around and about. The property also takes advantage of its position with large windows looking out over the magnificent countryside. The cottage is well equipped and functional but not luxurious. it was ideal for us where our party ranged in age from 2 to 93. If you're looking for other cottages around Valley View, we've got some cottages below which may take your liking. There are 52 cottages within 5 miles of Valley View - and they have reviews too.